Click to choose a Size: -- Choose Size -- 16" x 16" 18" x 18" 20" x 20"
Make this Officially Licensed Toss Pillow look as good as it feels! If you are a serious sports fan, this pillow is the perfect accessory for any room. 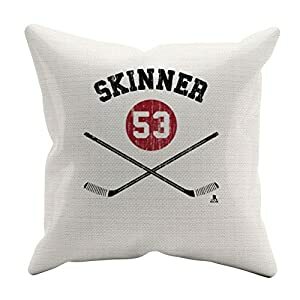 Great for your bedroom, couch lounging, sports dens and more. These throw pillows come in 3 sizes: 16 x 16, 18 x 18 and 20 x 20. Spun poly material, double-sided print with insert included. Spot clean only.